Most people today would prefer not to be limited by the wires and cables that connect all their mobile devices to home computers, TV’s or other equipment. Wireless headphones are perhaps the most popular wireless item as the wires attached to traditional headphones are particularly annoying and restrict movement. But in the past wired headphones have provided the better sound quality, whereas wireless headphones were more convenient but not as good in terms of audio performance. But today, the latest technology ensures that wireless headphones and bluetooth earphones are just as good as their wired counterparts, plus the prices have become much more reasonable. Wireless headphones are used to operate mobile phones hands free, to listen to music or the soundtracks to movies, or used by gamers to communicate with each other while playing online games. There are three main of wireless headphones which are categorised by the type of signals they use: infrared, radio frequency, and Bluetooth. The headphones work by connecting, or pairing, with another device through a radio or infrared signal. But Bluetooth technology is by far the most popular today and really makes connecting to other devices easier. Bluetooth devices are capable of connecting and exchanging data over short distances using a computer chip that contains the Bluetooth software that makes connectivity between devices possible. When Bluetooth enabled devices are in close proximity, they connect (or pair) so you can talk on the phone or listen to music without any wires. The most popular headphones/headset brands include SteelSeries, Astro, Skullcandy, Corsair, Logitech, Jabra, Kardon, Bowers & Wilkins, Bose and Samsung. Infrared headphones were the first type of wireless headphone available and were designed to be used both computers and audio systems. 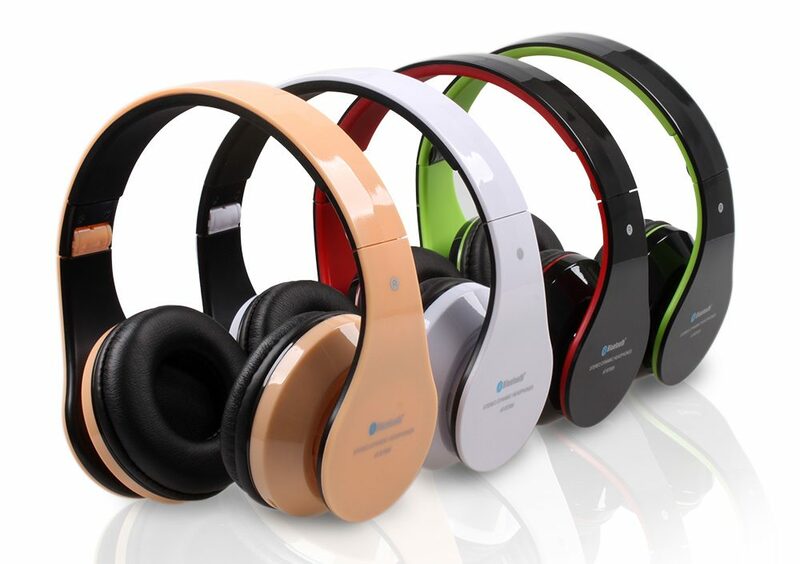 Infrared headphone sets are much less expensive and less susceptible to outside interference, but can be easily blocked by walls and other objects, as they need a line of sight to work. You can use more than one set of infrared wireless headphones with one source and sound quality can also be better than radio frequency headphones as the audio channels are transmitted separately to provide true stereo sound. Radio frequency headphones can be used in different rooms as the signal is not line of sight so is not blocked by walls or objects. However radio frequencies sent to wireless headphones are not secure and can be intercepted by other people. But on the plus side, most RF wireless headphones can operate up to 100-150 feet away from the source. Bluetooth is a proprietary open wireless technology standard that can be used to connect any Bluetooth-enabled devices. The Bluetooth technology has limited interference problems and have a relatively low power consumption. Bluetooth wireless headphones use a frequency-hopping signal that limits interference and provides robust sound quality at a range of up to 30 feet. On the downside, Bluetooth-enabled headphones or earbuds are designed to be used on a paired basis with their source, so only one headphone can be used at a time.